Provide comfort for the family of Marilyn Rorabeck with a meaningful gesture of sympathy. Marilyn Lavern Rorabeck, age 88, passed away peacefully on January 31, 2019 surrounded by her loving family. Marilyn was born December 2, 1930 in Kalamazoo, the daughter of Andrew and Marion (Merrifield) Shugars. On February 3, 1951, Marilyn married the love of her life, Herb Rorabeck, and they were married sixty five years before he preceded her in death in 2016. An intelligent, compassionate, loving, and talented human being, Marilyn lived her life, which often presented challenges, with patience, courage, love and long suffering. Marilyn was involved in so many accomplishments throughout her long and fruitful life. 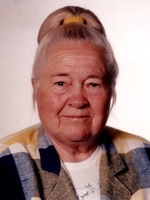 As a young woman, Marilyn worked for the Eckrich Company and various retail establishments and later worked at the Battle Creek Sanitarium, cared for loved ones and made hundreds of baby blankets, afghans, handmade pillows, and so many crafts which she lovingly gave to others. She also opened her own Basketique retail gift shop where she not only sold beautiful baskets, but also produce and other crafts. Marilyn loved working outside, growing beautiful flowers and raising fruits and vegetables as well. Among her many talents was the preserving of SO many quarts of fruits and vegetables for not only her family, but for countless others as well. Her Baby Gold peaches were always perfect. Her work with the Delton Seventh Day Adventist Church and its children played such an important part in her life for many years, as did opening their home to foster children and relatives in need through the years. She and Herb were also very involved in mission work throughout the world, providing for the education of many children in need in far off places. Many enduring relationships were formed with these encounters. Caring for the mothers also occupied much of her time as their lives drew to a close. Marilyn and Herb were always loving and gracious, sharing their abode with loved ones who came to visit. Marilyn is survived by daughters: Linda (John) Hill and Gayle (Pastor Jerry) Brown; son in law, Michael Erwin; a sister, Marva (Ed) Johnson; seven grandchildren, twenty great grandchildren, four great great grandchildren, and several nieces and nephews. Marilyn was preceded in death by her parents, husband, Herb, in 2016; a daughter, Melody Erwin; and a brother, Donald Shugars. Marilyn’s family will receive friends, Wednesday, 4:00 to 7:00 PM at the Williams-Gores Funeral Home. Marilyn’s memorial service will be conducted, Thursday, February 7, 2019, 11:00 AM at Hickory Corners Bible Church, Pastor David Tenold, officiating. Burial will take place in East Hickory Corners Cemetery. Marilyn's family would like to give a special thank you to Reverence Hospice for all of their care. Memorial contributions to Delton SDA Church (DVC) will be appreciated. Please visit www.williamsgoresfuneral.com to share a memory or to leave a condolence message for Marilyn’s family. 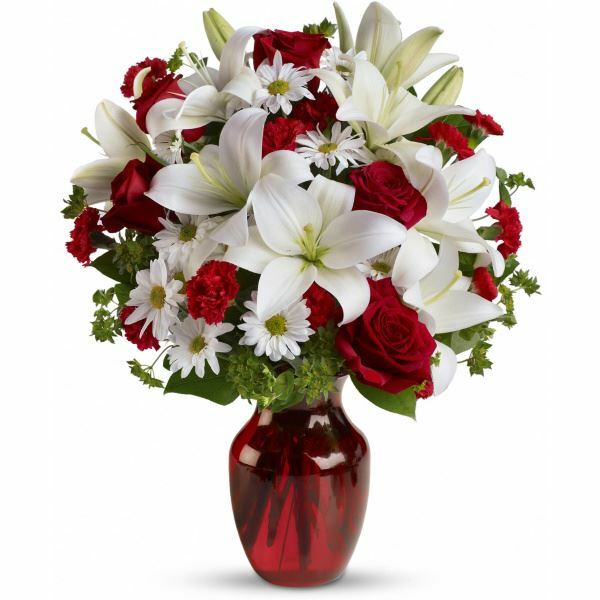 To send flowers in memory of Marilyn L. Rorabeck, please visit our Heartfelt Sympathies Store. Laura Lee Rorabeck Davis and The Ed Rorabeck Family have sent flowers to the family of Marilyn L. Rorabeck. Dear Linda and Family, Our thoughts and prayers are with you. May God give you comfort and peace at this time. Such a gem! Love you! Laura Lee Rorabeck Davis purchased flowers for the family of Marilyn Rorabeck.